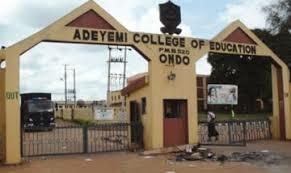 This is to inform all the candidates that applied for the Adeyemi College of Education, Ondo, (ACEONDO) part-time NCE programme during the 2017/2018 academic session that they can now check their admission status online. ACEONDO Part-Time NCE Admission List. d) Receipt for Part-Time Student Union.